After the passage of the Compromise of 1850 there was a short period of political calm. However, when a bill was introduced that organized the territory of Nebraska without mentioning slavery the political calm quickly ended because Nebraska was north of the 36' 30' border that was established in the Missouri Compromise. After a great deal of debate it was decided to split the the territory in two, with Nebraska in the north and Kansas to the south. At the same time the Missouri Compromise was eliminated. At the time, many of the northern politicians wanted the Kansas Nebraska Territory organized into states because of the impending railroad that was planned to run throughout this area. They preferred it organized because many of them had invested large sums of money in real estate deals associated with the project. The Kansas Nebraska bill set off an enormous battle in Congress. It was led by Stephen A. Douglas who was a Democrat in the Senate from Illinois, and Alexander H. Stephens in the House of Representatives. Douglas took full credit for its passing the bill, boasting that the bill never would have passed it it were not for him. He said,”I had the authority and power of a dictator throughout the controversy in both houses.” The legislation allowed for the residents of both Kansas and Nebraska to have the opportunity to decide for themselves if they did or did not want slavery. It placed Kansas to the west of Missouri which was already a slave state, and it placed Nebraska to the west of the free states of Minnesota and Iowa. However, it was clear from the start that the southern politicians were voting in favor of the bill because they fully intended for Kansas to become a slave state. It didn't take long before the bill took the entire country spiraling towards disunion. Almost overnight, the legislation dissolved the peace that had been brought on by the Missouri Compromise. Southerners were now abandoning the Whig Party in force and joining the Democratic Party. Before long, a group of Free Soilers, Northern Whigs, and a host of anti-slavery Democrats met in Ripon, Wisconsin to form what they called the Republican Party. 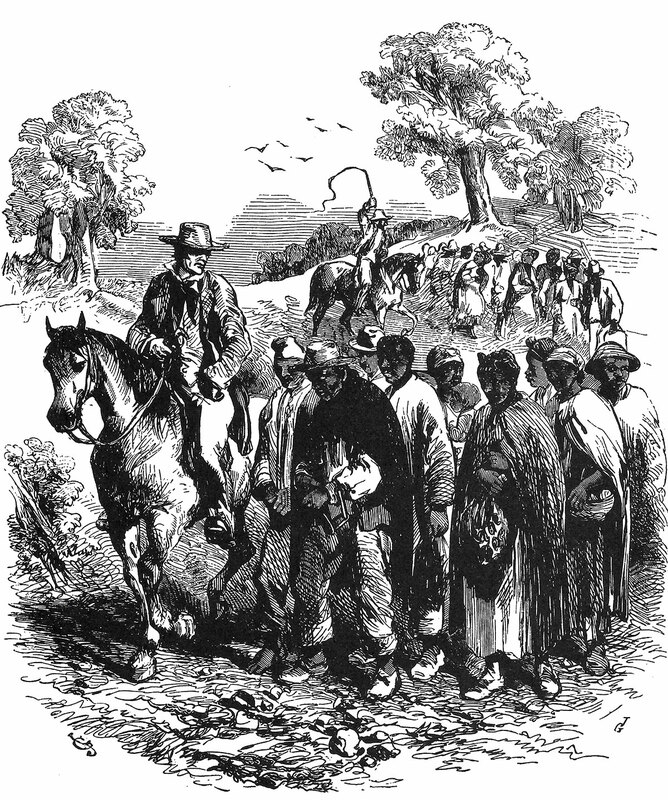 The Republicans immediately demanded the repeal of the Kansas Nebraska Act, as well as the Fugitive Slave Act. At the same time, the 4 million immigrants from Germany and Ireland stirred up a great deal of resentment from citizens who were tired of so many foreigners living in their midst. This group was anti-slavery, anti Catholic, as well as anti-immigrant. They called themselves the Know Nothings or American Party. Because of public backlash against the Kansas Nebraska Act many of the Republican and Know Nothing candidates were elected to Congress in 1848. Consequently, of the 43 Democrats who voted for the Kansas Nebraska Act, only 7 were reelected. The Know Nothings did so well that they believed they had a chance to win the presidency in 1856. However, they had dissolved by 1860. In Kansas violence erupted between free men and the slave holders. It became known as Bleeding Kansas. Things got so bad that elections required a new census and the presence of United States troops. At the same time, the federal government reported that their were few impartial judges. Then, in the heat of the crisis one of our worst presidents ever, James Buchanan was elected. Two days later Chief Justice Taney delivered the Dred Scott decision which declared the Missouri Compromise was unconstitutional because under the Fifth Amendment no one could be deprived of their property without due process of the law. Taney continued by saying that Dred Scot was not a citizen, nor was he entitled to sue because he was a slave.